Thank you Katie Mack for a wonderful week immersed in our wonderful universe. 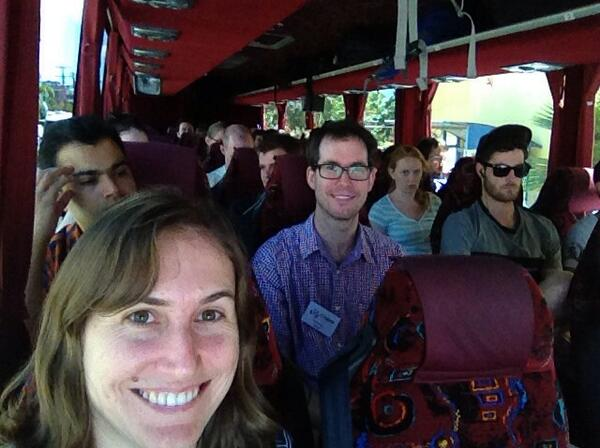 We kicked off the week, in true #academicnomad style, with Katie allowing us to travel with her to Wollongong for the CoEPP (Centre of Excellence for Particle Physics) meeting, where she presented a keynote lecture. 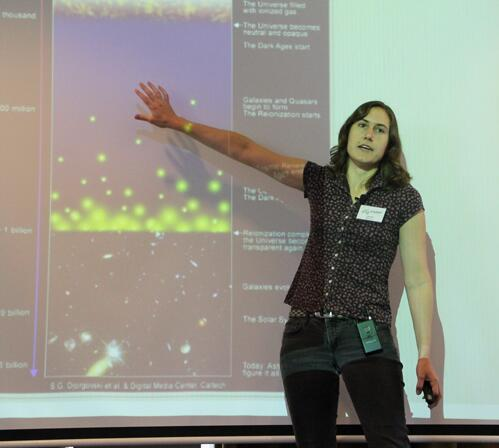 It was an action packed week and Katie did not let up, fielding questions about black holes, gravitational lensing, dark matter, dark energy and all of the mysteries of the FRICKIN’ WEIRD universe we are plonked in. It was madness! Madness? There was even SPARTICLES! In addition to the all of the astronomy, Katie also talked to us about her many and varied forays into science communication. Podcasting, YouTubeing, science writing… she’s done it all and done it superbly well. Look at me, now look at the universe, isn’t it amazing? I’m on a bus. The end of the week brought the #academicnomad lifestyle around full circle when Katie left us for a month-long trip to the US on her last day of curation. If you missed anything, we caught it all on storify, part 1 is here and part 2 here. No doubt there will be loads more excellent tweets from Katie over the course of the trip so keep up with her adventures, @AstroKatie. Next up, @Helena_LB on neuroinformatics live from Sweden.